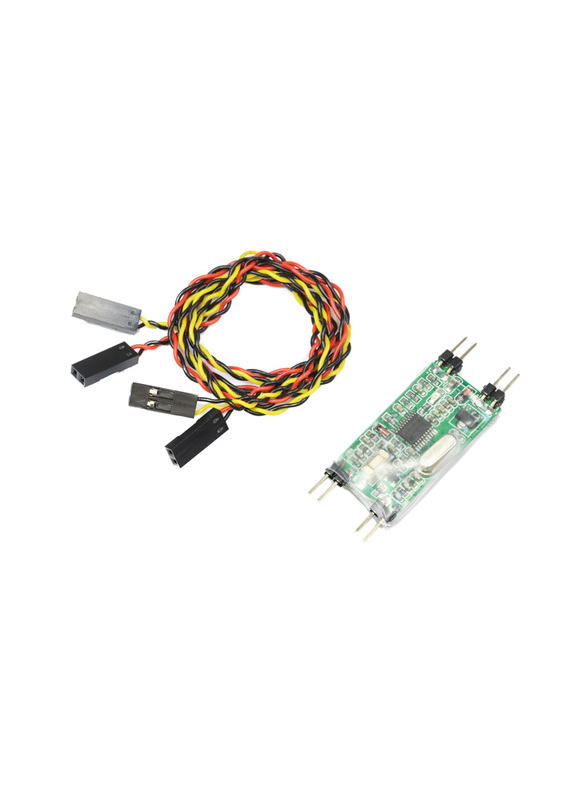 This is a simple OSD module that gives you a battery voltage and flight time overlay, nothing more and nothing less. It works well and doesn't distract while flying with too much info. The OSD can monitor two separate voltage inputs - we've tested up to 4S (17V). The position of the data overlay can be selected via the on-board push button – there are 40 pre-set locations.